The SKS PREMIUM model has a wide and flat tread for better grip and stability in the most difficult working-conditions. 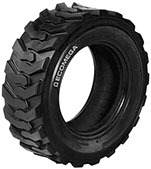 Its reinforced shoulders and its sidewall fenders offer maximum protection, the extremely thick casing construction with three differentiated sectors protects the carcass, which is essential because of the long tyre life. The bead profile prevents damage resulting from intrusion of stones and other debris. 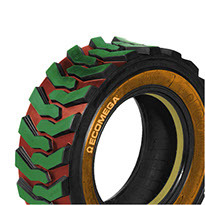 Heavy nylon carcass duly reinforced over the bead and provided with bias-belts under the tread in order to minimize and guarantee an equal distribution of ground pressure across the tyre.